Eurovision withdraws news services from TVR Romania. Geneva, April 2016: The EBU has withdrawn member services from Romanian public service broadcaster Televiziunea Română (TVR) following the non-payment of debts totalling CHF 16 million. TVR will now no longer be able to participate in the 2016 Eurovision Song Contest and will lose access to other EBU member services including the Eurovision News and Sports News Exchanges, the right to broadcast specific sporting events, legal, technical and research expertise and lobbying services. The decision was made after a deadline given to the Romanian government to make satisfactory arrangements to repay the debt expired. 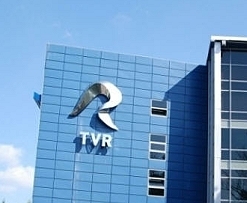 The EBU regards the Romanian State as legally obliged to underwrite TVR’s debt which goes back as far as January 2007. Since 2010 numerous attempts have been made to restructure the debt owed and payment plans agreed that have not been adhered to. The EBU has written to the Romanian government on four separate occasions this year alone and received no reply. In a final letter to the Finance Minister of Romania Anca Dragu sent on 15 April the EBU requested a down payment of CHF 10 million to be received in the EBU´s bank account by close of business on Wednesday 20 April 2016. The Union also asked to receive an unconditional and irrevocable bank guarantee for the remaining CHF 6 million, supported by a payment plan by the end of the year. The deadline was extended until Thursday 21 April but no payment was made. The EBU has in recent years repeatedly campaigned for a sustainable funding model for TVR and has held several meetings with high level representatives of the State including the Councillor of the President, the Minister of Finance, and Minister of Culture. During these meetings the EBU consistently promoted the value of having a truly independent public service media in Romania that ensures pluralism and contributes to an informed citizenship and the cohesion of the country.